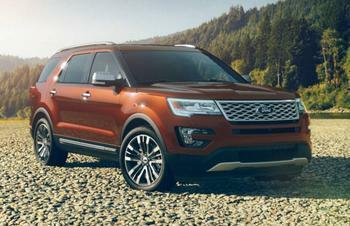 Ford Motor Company is recalling 144 model year 2018 Ford Explorers equipped with 2.3L or 3.5L GTDI engine. Due to an assembly error, the fuel pressure sensor may leak fuel. Ford will notify owners, and dealers will replace the fuel line assembly, free of charge. The recall is expected to begin December 3, 2018. Owners may contact Ford customer service at 1-866-436-7332. Ford's number for this recall is 18S35.